Arriving in Hollywood means one possesses star quality and has managed to break through. Naturally, car automakers surely put some thought into which cars they want to place in the limelight at the Los Angeles International Auto Show. It’s a prime place to attract the affluent set interested in luxury cars. On the other hand, it’s also an opportunity to merge virtual worlds of video games and reality. 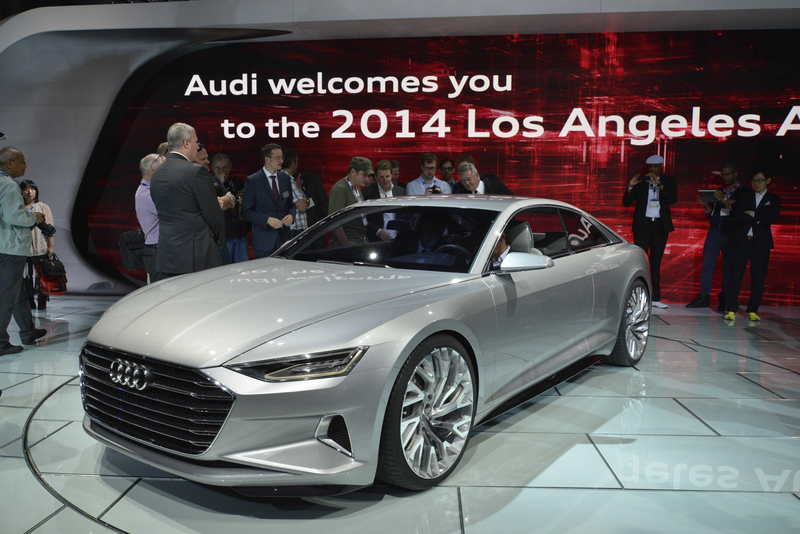 At this year’s LA Auto Show, there’s something for everyone. 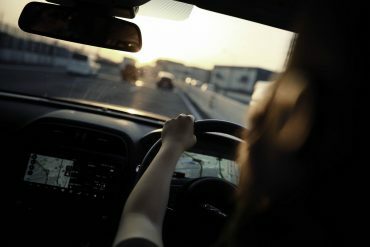 From Mercedes-Benz and its new Maybach incarnation to Cadillac and Ford finessing both muscle and luxury into new cars, there’s a lot of tastes and uses covered. 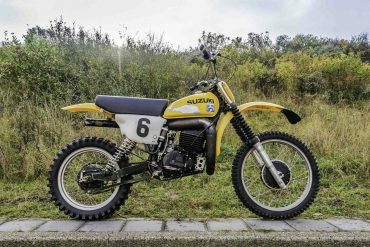 We have reviewed the new cars and narrowed it down to 10 that were most impressive new vehicles on display in the land of palm trees. The premium luxury segment is certainly crowded. Naturally, Lexus is illuminating its way in. 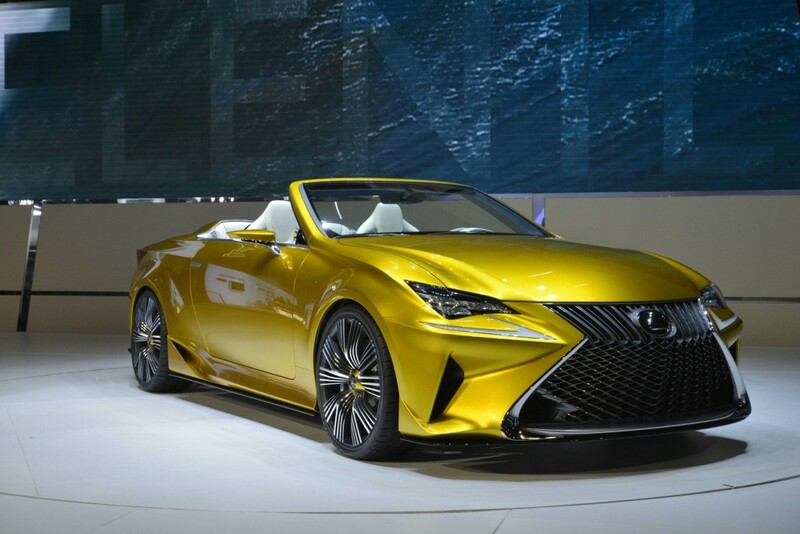 There’s no better way to describe the LF-C2 concept than … bright. The car dazzled in all of its multi-layered yellow paint glory at the LA Auto Show. 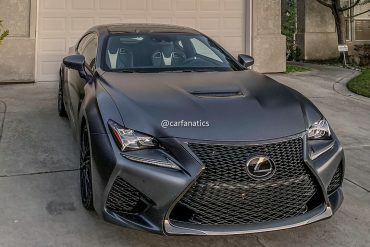 The 2+2 roadster coupe has an arrow-shaped body and a noticeable front grille with a braided mesh fascia that brings attention to the Lexus engineers mastery of detail. 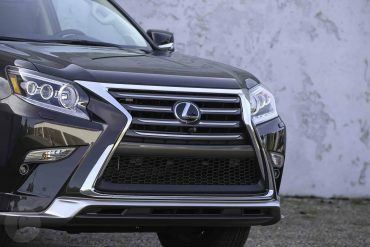 It wouldn’t be a Lexus without signature triangle-shaped headlights and L-shaped taillights, set next to a newly designed rear diffuser. 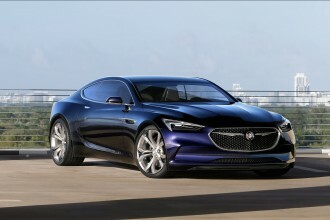 The concept is a sports coupe through-and-through. 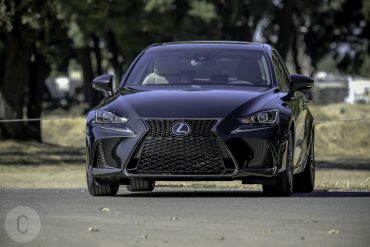 The LF-C2 isn’t in production and yet, it’s not too difficult to see it cruising up Pacific Coast Highway. While it may be premature to call the ATS-V and ATS-V Coupe “BMW killers,” Cadillac may prove more than a worthy competitor to the European standard of excellence. 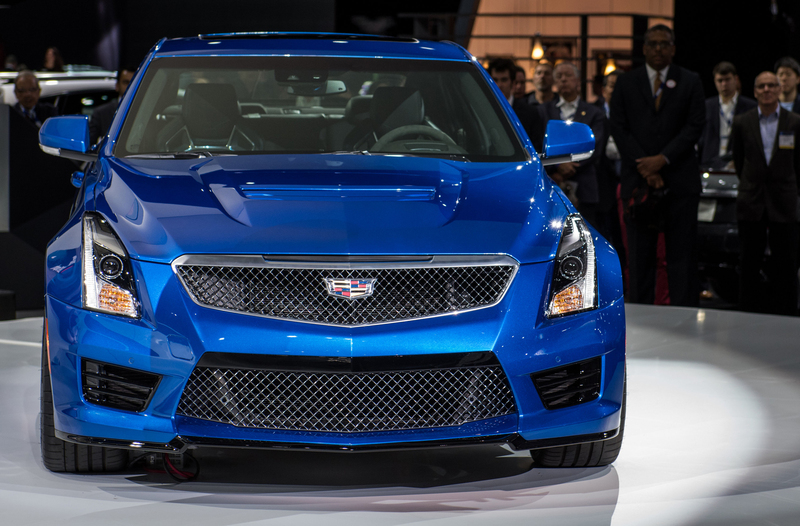 Slated for delivery by spring 2015, the ATS-V is powered by a 3.6L V-6 twin-turbocharged engine that produces 455 horsepower 445 lb.-ft. of torque that powers the car zero to 60 in 3.9 seconds and up to 185 mph. Audi’s design head Marc Lichte is anything but ho-hum about his newest concept, confidently stating that the company has put “the sportiest car in the luxury segment on wheels.” It’s hard to argue when the car’s specs including a 4.0 TFSI engine with 605 hp 553 lb.-ft that translate to a zero to 60 sprint time of 3.7 seconds. No detail is spared in the interior, with the instrumental panel featuring a large touch screen and a user interface laden with OLED display featuring organic LEDs. Well, here’s a piece of news that should thrill Rick Ross and Jay-Z. Just three years removed from shuttering Maybach after claiming it was unprofitable, Mercedes-Benz is bringing the ultra-luxury ride back. 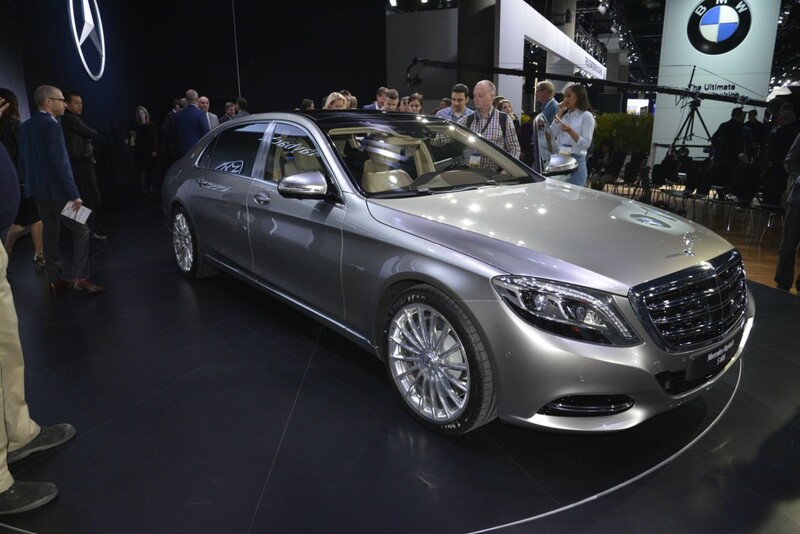 Aptly carrying the new nameplate of Mercedes-Maybach S600, the car merges the S-Class prestige with the eponymous Maybach brand. With executive-style seating for rear passengers, hand-stitched door trim and a Burmester High-End 3D surround sound system, the S600 is an elongated (by 8.1 inches), more luxurious version of the S-Class. 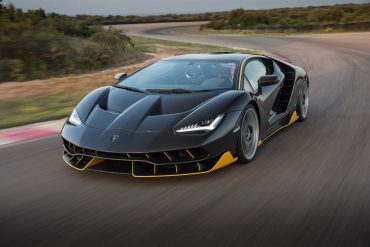 The power under the hood is simply monstrous: the V-12 engine produces 523 horsepower and a robust 612 lb.-ft. of torque that ensures means the car zooms zero to 60 in 5 seconds with a top speed of 155 mph. 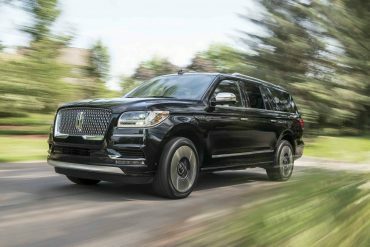 Executives and celebrities will be able to snag one for a base price believed to start around $200,000 when the S600 arrives in the late spring of 2015. 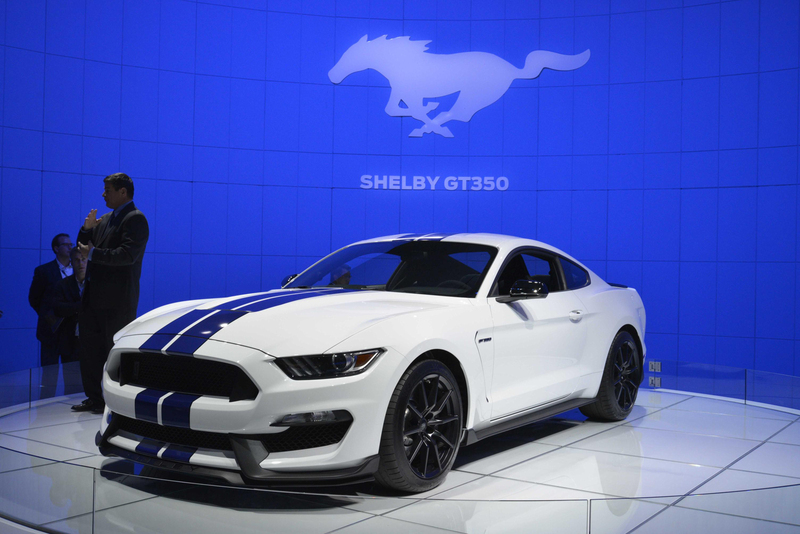 Ford is tipping its hat to Carroll Shelby’s leagcy the only way it knows how: By putting in production the all-new Shelby GT350 Mustang. There’s a twist, and it’s in the form of the first-ever flat-lane crankshaft in a Ford engine. 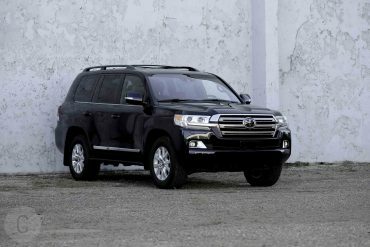 The 5.2-liter V-8 provides some serious muscle, generating 500 horsepower and 400 lb.-ft of torque. This Shelby is lower than the Mustang GT and prepared to race with a Brembo brake kit. 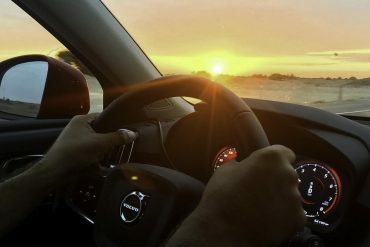 Inside, Recaro sport seats and a new integrated driver control system with five different driving modes allows fully customizes the driver’s experience. Chevrolet’s big reveal at the LA Auto Show was aimed at video game fans, especially those who are avid players of Gran Turismo 6 for PlayStation 3. 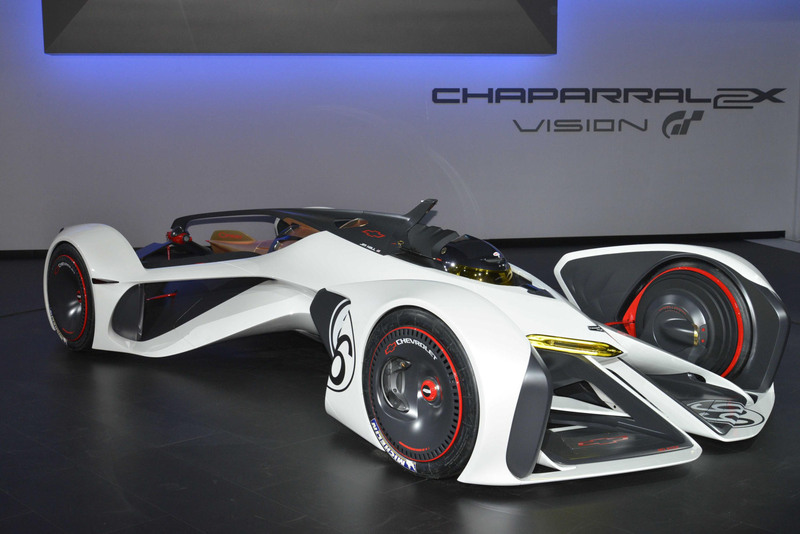 The Chaparral 2X Vision Gran Tursimo (VGT) Concept channels the most innovative features from Texas-based Chaparall Racing and Chevy through a laser-based propulsion system and a futuristic shape. 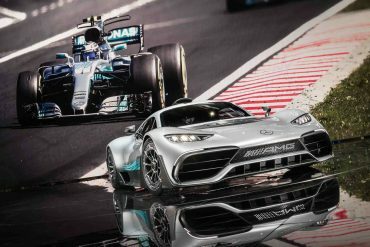 In the game, the 671 kW laser is powered by lithium-ion batteries and an air-powerd generator that produce an astounding 900 horsepower. 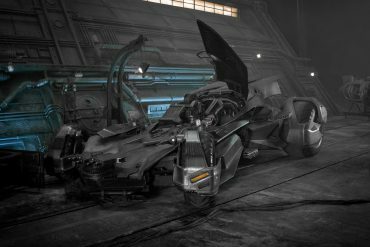 The car reaches 240 mph in the game, with a truly preposterous zero to 60 time of 1.5 seconds. 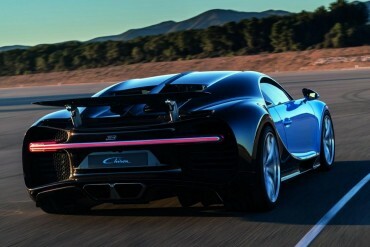 Volkswagen is yet another automaker to bring a Gran Turismo 6 car to real life. 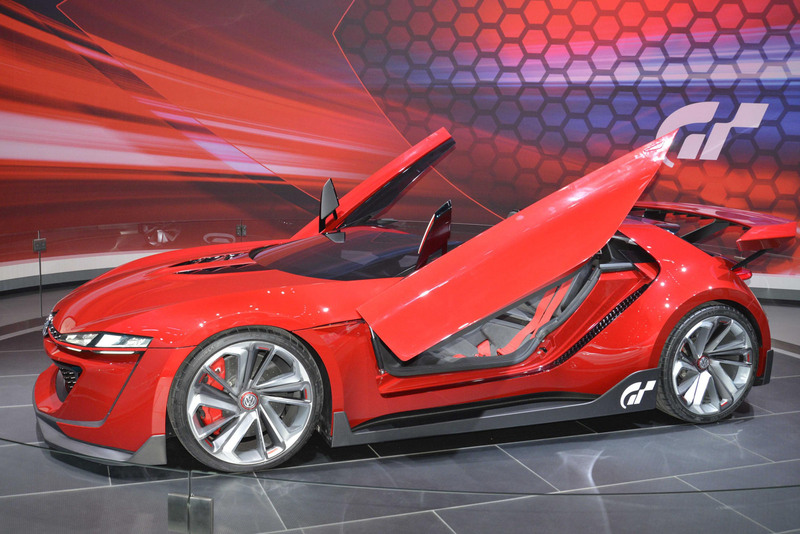 The VW GTI Roadster Vision Gran Turismo on display in LA is a sporty two-seat convertible powered by a 3.0-litre V-6 twin-turbocharged TSI engine. With gaudy 503 horsepower and 413 lb.-ft. of torque, the car whips zero to 60 mph in about 3.5 seconds and peaks at 192 mph. This specimen serves as a showcase for VW’s Modular Transverse Matrix architecture found in the new Golf, Golf GTI, e-Golf and Golf R models. Complete with 20-inch wheels, the GTI Roadster’s 7-speed dual-clutch automatic transmission combines with a 4MOTION all-wheel-drive system to produce a very credible performance car. 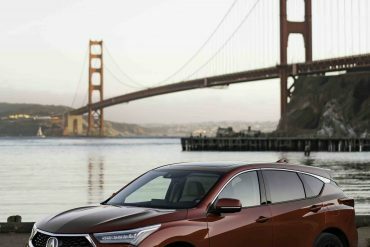 Mazda decided to go practical with the LA Auto Show debut of its first vehicle in the small crossover category. 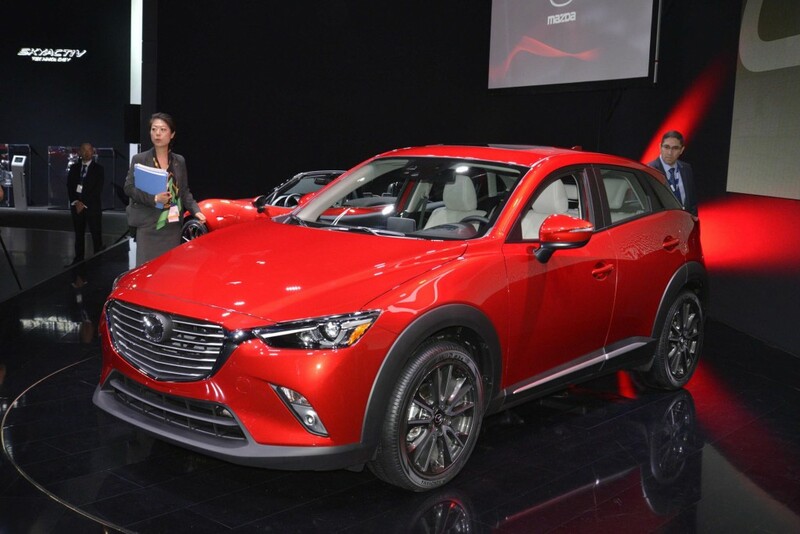 The 2016 CX-3 shares powertrain and design language with CX-5 crossover and Mazda2 sub-compact. 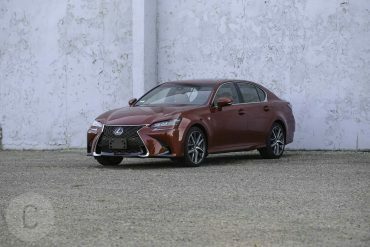 Under the hood is a 2.0-liter 4-cylinder SkyActiv engine, which in the aforementioned models has humble specs of 155 hp and 150 lb.-ft. of torque. Outside the U.S, Mazda will offer a 1.5-liter four-cylinder diesel engine. Los Angeles is as good a place as any to roll out in a convertible and Bentley certainly got the memo. 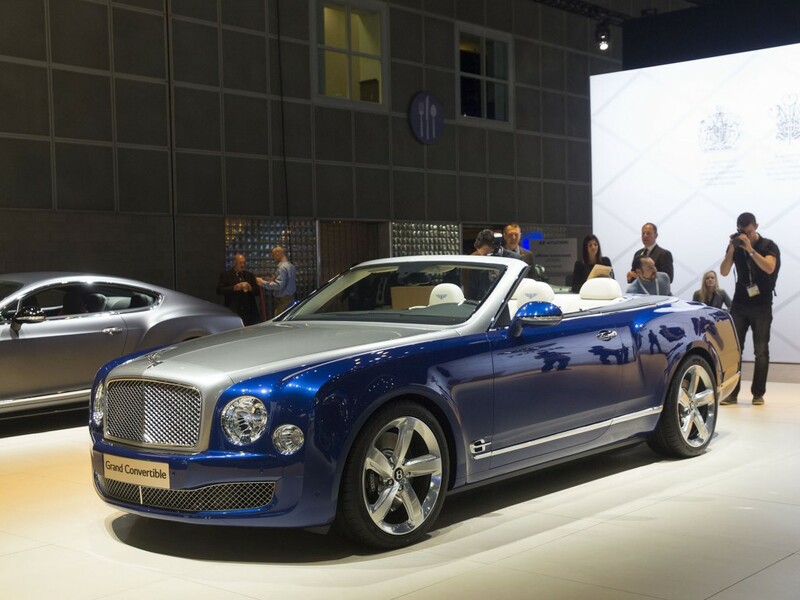 It’s latest and greatest is the Bentley Grand Convertible concept. It exudes classic elegance and contours that epitomize the Bentley spirit. Underneath the Sequin Blue painted beauty is a 6.75-liter twin-turbo V-8, taken from the flagship Mulsanne. 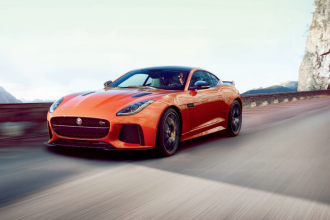 Its 530 hp and 811 lb.-ft. of torque ensure its place among the elite performers in its class. 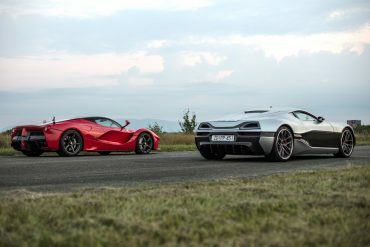 What happens when the leader of one of the top Ford dealerships in the world – renown for its customization house – meets Aston Martin design legend Henrik Fisker? Say hello to the Galpin Ford Mustang Rocket, simply a one-of-a-kind take on the pony cars of the 1960s such as the 1968 GT500. With a powerful, 725-hp V-8 engine providing the power, two large air intakes sit atop the hood to let the engine breathe. A specially designed hexagonal fiber grill and scoops mounted on rear fenders complement the 15-inch Brembo Grand Turismo brakes. 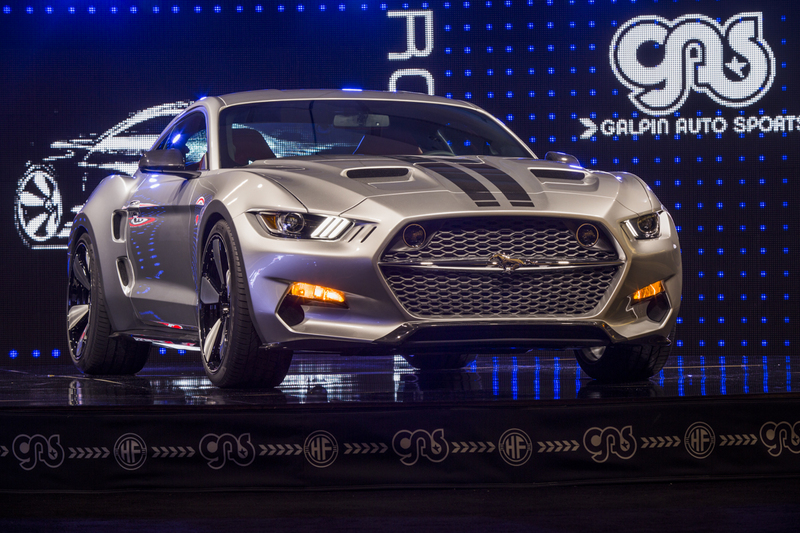 Galpin plans to put the muscle car into low-volume production beginning in December, with first cars delivered in early 2015.